You know the feeling. 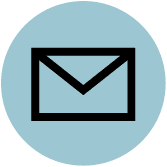 The invite for a wedding, party, gala, and/or the Oscars arrives, and contains specific instructions on how to dress (e.g., “black tie”). Or, um, less specific instructions on how to dress (“rustic elegance,” anyone?). This much you know: Something formal, or at least not-casual, is required. After that, you’re on your own, a befuddled invitee left to navigate fashion mandates with something less than precise directions. And given a suit or tux can run you anything from $200 to $7,000 or more, the stakes are not low. Fear not. We’re here to help. Let us be your guide, and let what follows be your compass. You’ll never cower at the words “cocktail chic” again. 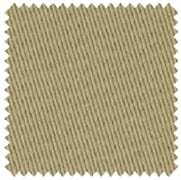 The classic: A matching jacket and trousers in a natural fabric, typically wool. 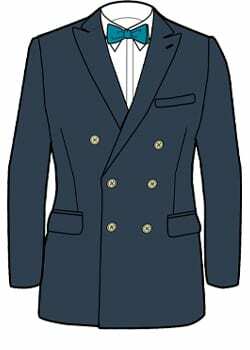 But for our purposes, we’re also referring to any combination of jacket and pants—from the most formal option (a tux) to the least (a complementary, but not matching, sport coat and trousers). Which one is right for you and when? We’re glad you asked. Let’s start by defining some terms. 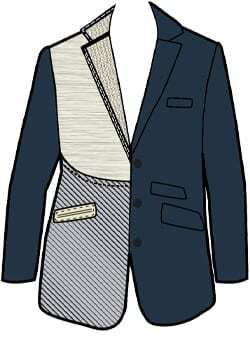 The jacket plays the primary role in defining how formal (or not) a suit is. After all, trousers don’t vary much, though we’ll get to that later. Here’s what to look for. Those two little flaps on either side of your jacket say a lot about the wearer, and a lot about the occasion. You typically have three options: peak, shawl or notch. There’s no mystery here—a peak lapel boasts a “peak” that points upward at its tips. 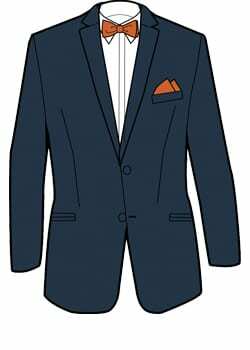 This is the most formal and traditional option (though even a peak-lapel suit jacket is less formal than a tux). Wear this to any formal occasion and you can be certain you have executed the dress code properly. A classic option, typically reserved for dinner and tuxedo jackets. Defined by how it curves around the neck. Think of a shawl-collar sweater or, well, a shawl. Favored by a certain martini-loving spy when he first appeared on-screen. Never out of date, but enjoying a bit of a comeback in recent years. 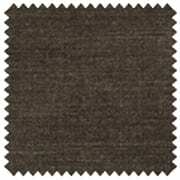 Offers a sort of rakish elegance, the lapel equivalent of a velvet smoking jacket. It turns out there’s more than one way to button a suit jacket. If you see a single vertical line of buttons, you’ve got a single-breasted jacket (by far the more common style). If you see two vertical rows, and there’s a fair amount of overlap when you button it closed, you’ve got a double-breasted jacket. Again, this is what men are wearing most of the time. If you only have the budget (or the need) for just a few suits, single-breasted is probably the better investment—it will never go out of style, and you can wear it to any and all occasions. Styling tip: Never button the bottom button of your suit jacket, as it will make the jacket look extra tight (even on skinny guys). 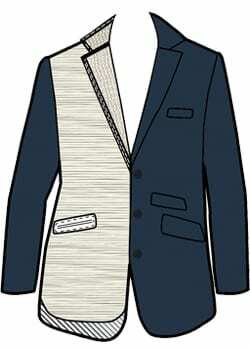 Most tuxedo jackets spare you that option—they typically only have one button. And in case you’re wondering, while some jackets have three buttons, you still want to button just the middle one. Again, over-fastening buttons will create weird lines in the jacket, distracting from the projection of pure handsomeness you’re otherwise achieving. 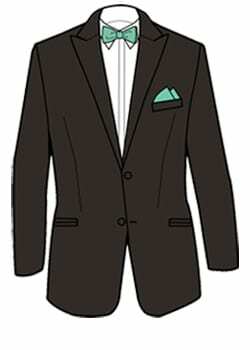 This is the more formal option, if only because it’s hard to wear a double-breasted suit jacket casually. (They almost always have peak lapels). The look has gone in and out of popularity, peaking (so to speak) in the ‘80s, then enjoying a mini-renaissance over the past five years or so. Why is that? You’ll instantly stand out, in a good way—channeling the glamour of old Hollywood movies without looking like you’re in costume. It’s a classic look that merely requires a little fortitude to get right. Just beware that while a double-breasted jacket can make a skinnier guy add brawn, it can make a bigger guy look swaddled in too much fabric. Proceed accordingly. You know those flaps in the back of your jacket that you rarely, if ever, think about? They’re called vents, and they help the jacket (and therefore you) breathe. 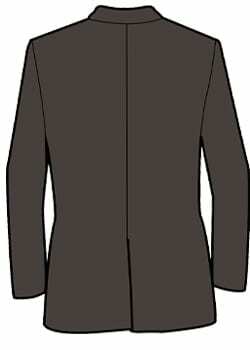 A jacket can have one vent in the center, or two on the sides. The latter is more formal, especially on a dinner jacket. 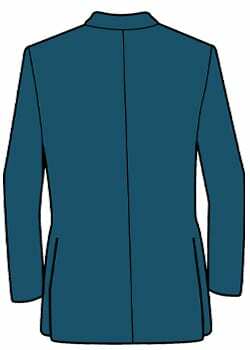 A one-vent jacket usually has a more boxy drape and fit, which can help hide any extra weight you’re carrying, while a two-vent jacket will accentuate a slimmer guy’s shape. 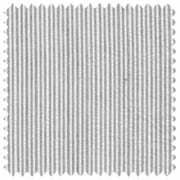 A mid-weight wool, made by combing over the yarn itself. 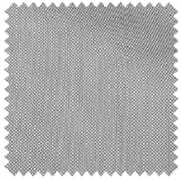 The most common and versatile suiting fabric. A soft and breathable wool—you might even have a sweater made of this stuff. Very comfortable and even luxurious (with a price tag to match). 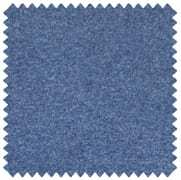 “Tropical” is a relative term, but this is a lighter version of wool that is, at least in some parts of the world, suitable for summer. Can be prone to wrinkling. And not at all formal. The heaviest version of wool, and also the softest, so it manages to be somewhat less formal than worsted. Hard to wear outside of a winter wedding. Heavy, coarse, dense and patterned with mixed, flecked colors. Not for nothing is it known for being worn by the Irish, authors, and especially Irish authors. A cotton suit in navy or gray can be worn anywhere you’d wear a wool suit, but you’ll be a lot more comfortable when you’re there. Plus, a cotton suit will set you back less. Avoid blends, as they’re less comfortable, even itchy. Polyester also doesn’t breathe well. Velvet weds playful irreverence with an irresistible touchability that’s sure to attract both attention and compliments. Play it safe(ish) by getting something in black or midnight blue, or go bold with, say, burgundy or chocolate. 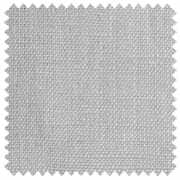 Another light option, linen is an ultra-breathable fabric that humankind has been wearing for tens of thousands of years. (Wealthy ancient Egyptians loved it so much they wrapped themselves in it for burial.) 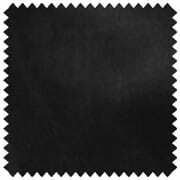 The fibers are strong and dry out faster than other natural materials, making it extremely practical. The only downside? It tends to wrinkle, and lower-cost linens can be scratchy. Highly suitable for a beach wedding somewhere warm; less so for a formal gathering in the cooler months. If you’re going to a Kentucky Derby party: Yes, absolutely. Other than that, eersucker is not the kind of thing you’d wear every day (unless you’re a Southern lawyer… from 50 years ago), but it can make for a comfortable alternative to what the other guys are wearing at a summer wedding. As with the rest of your suit, you’ll want to ask what the lining is made out of. And as with the rest of your suit, natural fabrics (such as silk) tend to breathe better, feel more comfortable, and last longer than synthetic ones (such as rayon or nylon), though synthetic lining will bring down the overall cost of your suit. Again, this is an area where only you (and your wallet) can decide what’s right for you. They say that style is knowing who you are, what you want to say and then not giving a damn. Nowhere is that more apparent than in the color of your suit at a formal occasion. Some colors work better on some guys than others; some occasions call for different colors than others. Finding the color that’s right for you and the occasion? That’s the sweet spot. Consider your complexion, eyes, and hair. What colors draw compliments when you wear them. How you feel in certain colors—what color is your favorite t-shirt or sweater? If you have blue eyes, wearing blue (even darker hues) will pop. If you have brown eyes, darker shades of chocolate and black will play nicely. As for your complexion, well, we have a whole piece on that. The less formal the occasion, the more sartorial risks you can take. If the event is in the evening, or at a place of worship, or involves you winning the award for Best Short Film (Animated), it’s formal and you’ll want to stick with black, midnight blue, or maybe burgundy. If the event is in the daytime, or outdoors, or includes the word “creative” in the dress code, loosen up and introduce a floral or bold, bright color. Just remember there’s a fine line between clever and dumb. Think of your suit jacket like a car. The shell is what’s on the outside—the beautiful exterior. The canvas is the engine—it’s what’s underneath, and accounts for the life and performance of that beautiful exterior. 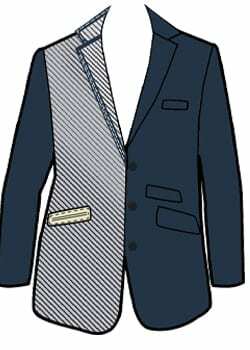 For a suit, the canvassing is what gives the jacket its shape. 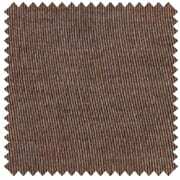 Back in the old days, tailors canvassed suit jackets with a horsehair lining, which had the benefit of being both flexible and rigid—flexible so the jacket was comfortable, and rigid so it would keep its shape over time. Today, the horsehair is gone but the canvassing remains. Here’s what you should be on the lookout for. “Fused” is another word for “glued." The shell of the suit (the fabric) has been glued to a canvas underneath that gives it its shape. This is the least expensive way to make a suit; it keeps the price low. The tradeoff is that the glue might fade over time, leading to visible bubbling between the canvas and the suit fabric. It also means the shape will be stiffer, and conform less to your body over time. This is the gold standard, in which the shell is sewn (sometimes by hand) to the canvas itself. Suffice it to say this is expensive, though it helps ensure your suit will last as long as you do (if not longer), and slowly adapt to your shape so you’ll look sharper with every wear. “Moderation in all things,” advised the Buddha, and we’re pretty sure he was talking about suits. Half-canvas splits the difference between fusing and full canvassing by sewing the top portion of the suit (the chest and lapels) to the shell, and gluing the rest. This eliminates the risk of bubbling (which typically only happens at the chest), and ensures the jacket isn’t too stiff. Perhaps as importantly, it helps keep the cost manageable. Now that you’ve painstakingly considered the materials, the lapel, the color, the construction… are you ready to get into the details of the hip pockets? Oft-overlooked, the pockets can actually say a great deal about the jacket itself, and play a small but critical role in flattering the shape of the jacket’s wearer. Let’s look at your options. Sometimes called a “hacking pocket,” particularly by the Brits, as it was common on tweed hacking (hunting) jackets to make it easier to reach inside while astride your trusty steed. Today, it’s more of a preference thing (assuming you’re not planning to ride a horse in your new suit). It’s of particular interest to bigger guys, as slanted pockets will have a slimming effect, drawing the eye toward your chest and away from any extra weight you might be carrying around the midsection. More common than the slanted pocket, and designed to add a bit of weight to a slimmer overall silhouette. Defined by a line that runs parallel to the ground. 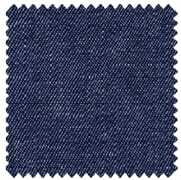 Sometimes the name says it all: A flap pocket is a pocket with a flap. This is by far the most common approach, and you can even tuck the flap into the pocket if you so choose, creating a slightly more casual look (and making it easier to grab the gum / cigar / fidget spinner nestled inside). A safe choice. 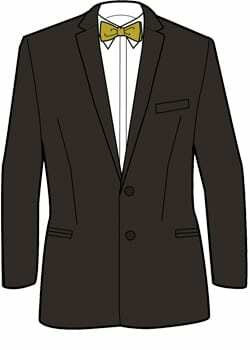 If you are wearing a suit, your jacket is a suit jacket. 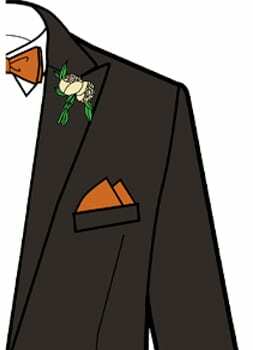 If you are wearing a tux, your jacket is a tux jacket. If you are wearing a suit jacket that didn’t come with matching trousers, you are wearing either a blazer or a sport coat. 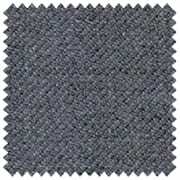 If it’s made with wool, looks and feels more like a suit jacket, and is slightly more formal and structured, and/or has brass or metal buttons, you are wearing a blazer. 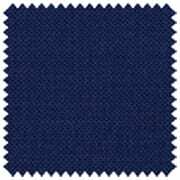 If it’s less structured, made with wool or cotton or madras or something else, you are wearing a sport coat. 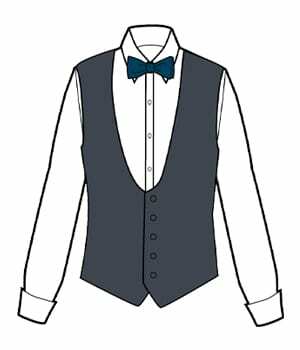 If you are wearing a formal jacket, often white, that technically is not part of a complete tuxedo, you are wearing a dinner jacket. If you are wearing a long white jacket and you work in a lab, you are wearing a lab coat. Sure, your suit jacket gets all the attention, but trousers play an important part in defining a formal look, too. There isn’t as much variation (and therefore, you’ll have fewer decisions to make). But as with, say, a haiku, the relative scarcity of choices makes each one matter more. We’ll walk you through the key decisions. 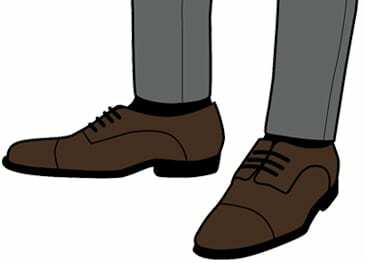 If you really want to know how a man dresses, look at his ankles. Some guys will have a pool of fabric there, the result of overlong trousers “pooling” at the bottom. Those men are called slobs, and we’ll help you avoid their sad fate. 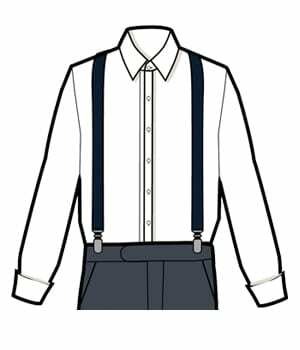 Instead, you’ll want to ensure your trousers are tailored to sit at the waist, and then do one of the following things. This is the most traditional, and therefore the most timeless, approach. 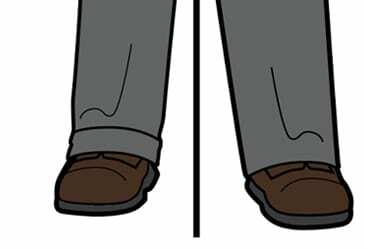 A break refers to the way your pants will slightly bend due to the bottom grazing the top of your shoes. Back in the day, it was prescribed that the back of your pants should hit the top of your heel, with the front just kissing the top of your shoes. As you’ll see, that rule is no longer fast and firm—and even if you choose to have a break, you’ll want to go with a very slight one, lest you look like a ‘30s gangster. 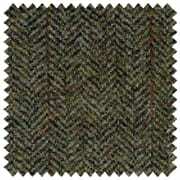 A cuff, as you likely know, is simply an extra layer of fabric turned up on the outside of the bottom of your trousers. Cuffs are considered a dressier option for suits, but are typically not welcome on a tuxedo. (It’s a little like slapping a bumper sticker on a Porsche—an unnecessarily embellishment on something already perfectly designed.) 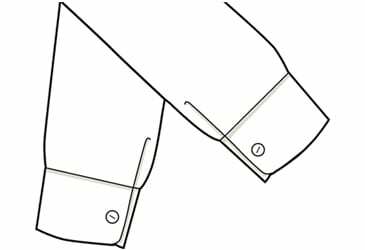 Cuffs tend to flatter taller men with longer limbs, as they break up the pants’ long line of fabric. 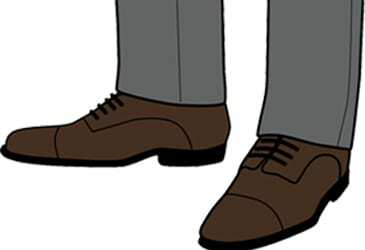 Shorter guys might want to eschew cuffs altogether for the same reason. If you were hoping the cuff decision could become more complicated, good news! 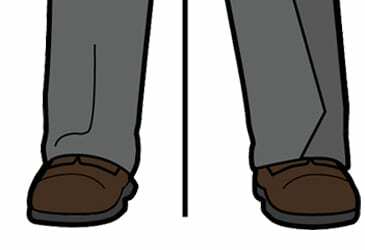 Tradition dictates that double-pleated pants should be cuffed, flat-front pants should not be cuffed, and single-pleated pants can go either way. After nearly two decades in the wilderness, pleats are starting to become fashionable again—no longer the sole domain of sad, saggy casual Friday khakis. The key? Wearing pleated pants that fit smartly, and sit right at your waist. The extra room is a little more forgiving for anyone who gives it all on the dance floor, or has thicker legs. That all said, it’s still an advanced fashion move, and for most of us, a simple flat-front will work best. If you’ve purchased jeans in the last ten years, you’ve undoubtedly noticed an upswing in the amount of fit options available to you. Slim. Straight. Slim straight with stretch. While trousers still tend to come in just one fit—sometimes, you’ll have a “slim” option—you can still work with your tailor to ensure your pants flatter your body. For most of us (assuming you don’t have the calves of a Tour de France champion), that means bringing them in a bit at the ankles to keep them from being baggy (or pooling). The word you want to use is “taper.” Most suit and tux pants will arrive unfinished, so just mention it when having the hem tailored for your height. 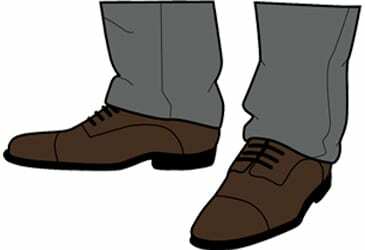 You generally want the ankle width to be between 7 and 8 inches; bigger guys will likely veer closer to 8 (or even 8 and change), slimmer guys closer to 7 (or even a little under). It used to be simple. If you’re wearing a tux, you go with a tux shirt. 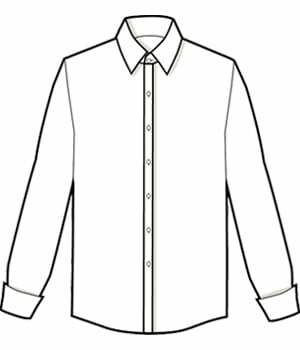 If you’re wearing a suit, you wear a dress shirt—typically, a spread-collar, button-down shirt. But in the 21st century, things got complicated. Collar options spread like the wings of, well, a collared shirt. People wore velvet blazers with jeans and a t-shirt (and didn’t look half-bad doing it). What follows will give you both a sense of the rules, and when and how to break them. What turns an ordinary dress shirt into a tuxedo shirt? 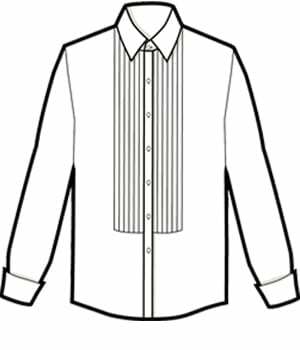 Typically, a tux shirt comes in a higher-quality fabric (more on that later), bearing a formal collar (same) and with one of three different types of front. We’ll start there. Exactly what it sounds like. More modern, less traditional, and supremely versatile. Includes an extra panel of fabric, somewhat like having a bib attached to the front of your shirt (though nowhere near as awkward as that sounds). 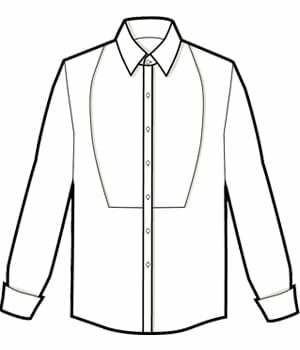 The bib is there to add a little visual interest and to ensure that your finer-thread shirt isn’t transparent. Very traditional. A bib front, but with pleats (aka folds) in the fabric. Modern versions are considerably more tasteful than the shirt your dad wore to prom. A classic pick. 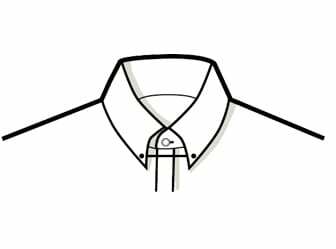 Also known as a cutaway collar (for how it appears to be “cut away” at the neck), this is the most common dress-shirt collar style. 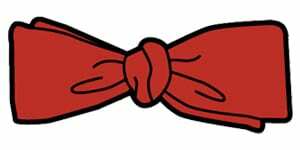 It can be worn with either a bow tie or a necktie, and demonstrates a moderate to high level of formality. Can vary in how widely they spread. What, you thought wing tips were just for shoes? 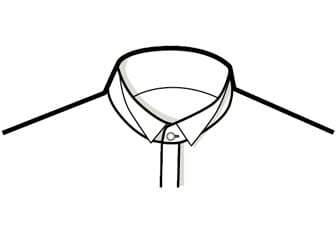 A wing tip collar is a traditional style where the collar sits high on the neck, with two tips pointing downward. To be worn only with a tux, and only with a bow tie. Highly traditional. 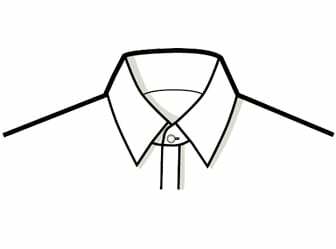 Essentially a point-collar shirt where the tips have been rounded. Created in the 19th century by Eton College as a way to ensure its students would stand out (as if they were in a “club”). In our century, wearing these is a surefire way to ensure you stand out. More formal than a button-down, but less formal than a spread. Wear it with a tie, but not with a bow tie or tuxedo. 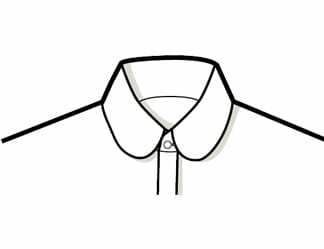 Take a club collar, poke two holes in it, and slide a pin through (to keep your necktie in place). Popular with traditionalists (and characters on Boardwalk Empire), if a touch stuffy for the average man of today. Formal, but not formal enough for a tuxedo. 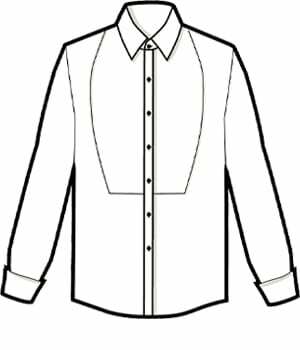 Also known as a Mandarin collar, a band collar is essentially a shirt with no collar at all. 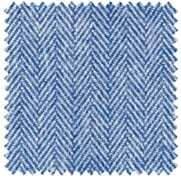 Originally worn by the working class in the 19th century (for whom a tie would have been a safety hazard). Impossible to wear with a tie and therefore relatively informal, though it can look great under a suit, particularly when buttoned to the top. Feel: Smooth, light, occasionally wrinkle-prone. Very little sheen or texture. Comfort level: High. Formality level: Medium to high. A strong warm-weather option. Feel: Subtle shine with slight texturing. Comfort level: High. Super-soft. Formality level: Medium, only because it can look a little more worn-in than broadcloth. Feel: Rich in shine and texture. Soft and regal. Comfort level: Medium to high. Formality level: High. Very traditional. Feel: Soft, a little on the thicker side. Comfort level: Medium. They’re relatively heavy, so avoid wearing in the summer. Formality level: Low to medium. Feel: Slightly rough and heavy (for durability). Comfort level: High. A throw-it-on-and-go choice. Formality level: Lowest. Feel: Soft and light, with a subtle texture. Comfort level: Medium. A fine choice for hot days. Formality level: Low to medium. Feel: Textured with limited shine and a distinct pattern said to be inspired by the bones of a fish. Comfort level: Medium. Formality level: Fairly casual. Feel: Heavy yet soft. A workwear staple, similar to a softer denim. Comfort level: High, especially after you’ve worn it a bit. Formality level: Low, but it’s a nice way to add something unexpected with a suit. 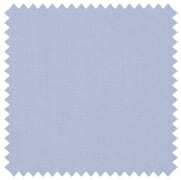 Feel: It varies given its definition as a mix of different weaves. Comfort level: Depends on the source fabrics, but generally in the middle range. Formality level: Low. Feel: Puckered and soft. Comfort level: High, especially in heat and/or humidity. Formality level: Low. Feel: Light and loose. Comfort level: Low to medium. Can be scratchy. Formality level: Low to medium. Not an option for your tux. This is about as cut and dry as it gets, for reasons we’re about to explain. You have two options, and one is better for formal occasions, the other for every day. Your least formal option. Defined by a button closure. 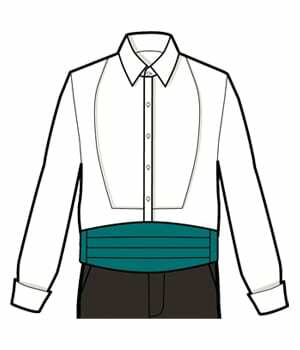 There are some variations as to how the cuff is cut (it can be rounded or square with from one to three buttons), but essentially this is how more casual shirts work. Best to avoid with a tuxedo. Your most formal option. Defined by a lack of buttons, necessitating cufflinks. (Pro tip: Keep it subtle, keep it simple unless you’re ready to embrace a little whimsy, in which case your options are plenty. A must with a tuxedo. An option for suits, too, particularly if the occasion calls for something more refined or traditional. Presumably no introduction is necessary here. A less formal option, and if you’re wearing a necktie, the only option you should consider. Ultra-formal. 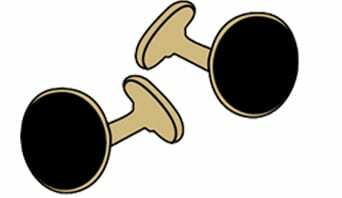 Similar to cuff links, shirt studs are decorative closures for your tuxedo shirt. There is no such thing as an informal shirt stud.) Some tux shirts require them based on how they’re made. Play it safe with something in black and a fine metal. Simple rule: Your studs and your cufflinks should employ the same metal. Feel free to use your quota of jokes about knowing where the studs are. Think of your shirt as your canvas—it’s the backdrop against which the rest of your look will stand out. That’s why white is so common. It makes even a regular black tie look a little extra crisp. 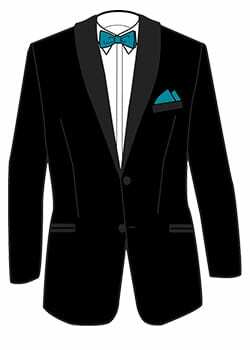 It’s also the most traditional and formal option, so don’t deviate from it when attending a black tie event. Can you wear colors other than white? With a tux—yes, sometimes, maybe, particularly if your jacket is a color other than black. 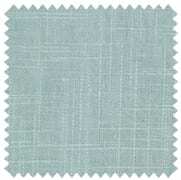 For example, a light blue can pair nicely with a midnight blue tux. Just tread lightly, lest you look like the cheesy MC at a bar mitzvah in 1978. How about black shirts? To quote noted scientist Dr. Ian Malcolm (Jeff Goldblum in Jurassic Park): Just because you can doesn’t mean you should. This is a young and modern trend best worn by the young and modern (or Johnny Cash, RIP), and best avoided at anything truly formal. The clothes make the man, but the accessories make the suit (or tux). Here are a few categories to consider. As our cheesy physics teacher used to say, gravity isn’t just a good idea—it’s the law. Well, he was right, and you have a few ways to fight the inevitable pull on your trousers. These are those ways. The traditional sash dates back to ancient Persia, but in modern America the look that has fallen out of favor. If you want to wear a cummerbund, keep it classic and get one that’s subtle and matches your suit jacket. But here’s the thing: You don’t have to wear one. 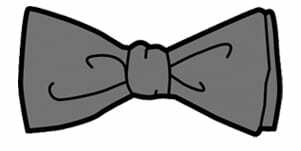 Traditionally, you do not wear a belt with a tux. (Properly fitting pants shouldn’t require assistance.) 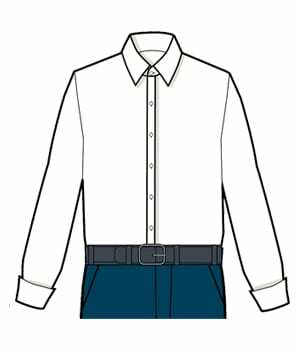 If you’re wearing dress trousers, consider a dress belt — black or brown. Avoid textures and an excess of shine. You know that old rule about matching your belt to your shoes? It doesn’t always apply, but it does here. If the dress code says black tie, you should wear a black tie, preferably of the bow tie variety, with a tux. 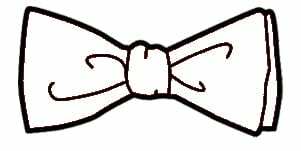 If the dress code says white tie, you should wear a white bow tie and a tux. (Also, your friends are much fancier than ours.) If the dress code adds the word “creative” to either of those, or says something else entirely, you have some flexibility. Again, you’ll want to consider whether the event is at daytime or nighttime (the latter is more formal), indoor or outdoor (inside is more formal), if it includes a seated dinner (formal) and your role in the proceedings (if you’re a plus-one, you can show a little personality; if you’re the best man, you do what the groom tells you to do). Best for: The bold traditionalist. The wider-faced. Best for: The bold. The narrow-faced. Best for: The young and modern. The narrow-faced. A good rule of thumb is that your tie should be the same width as the lapel of your jacket. Today’s trend is toward a narrower tie, but the super-slim lapel is starting to fade, and we’d wager super-narrow ties will soon follow. It turns out fashion is cyclical—who knew! Your tie is like anything else you wear: You should gravitate toward lighter materials in the summer, and heavier materials in the winter and fall. (Not least because it will better match the rest of your ensemble.) Some materials are also more formal than others. 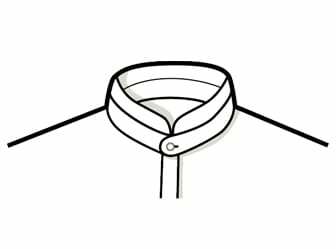 Below we explain tie materials. Weight: Medium, can be worn all-year round. Formality: High, though super-shiny silk ties feel a little dated to us. Weight: Medium. Formality: Medium. 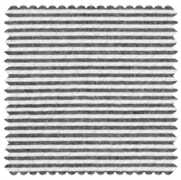 A more textured riff on the traditional silk tie shape. Weight: Heavy. 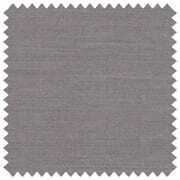 Formality: Medium to high, especially if the wool is cashmere. Weight: Light. 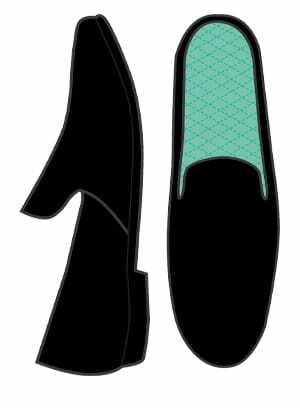 Formality: Medium, depending on the color and pattern. The more traditional these are, the more formal the tie is. Weight: Light. These are go-to summer fabrics. Formality: Low. The bolder colors and patterns make these primarily for outdoor use only. If you have a French cuff shirt, you’re gonna need these. A few guidelines below. Round is the safest pick—after all, they’ll look like buttons. But you can often find square and rectangle shapes, too. They can feel a little heavy, so go with something smaller if you can. As for more creative options—a stock market’s bear and bull are popular—it depends on how formal the setting will be. 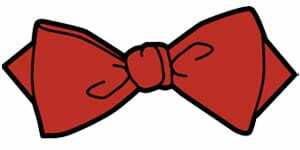 As with your bow tie, you should conform to the dress code. Black tie? Stick with onyx. Something looser or more creative? 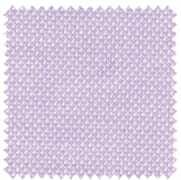 Incorporate a little color if you want, but be mindful of any other colors you’re wearing so you don’t clash. Try to match the tone of whatever else you’re wearing, though we’ll admit that a pinch of creativity on the wrist can offset the sobriety of a tux. If something has personal or thematic meaning, we say go for it. If it’s just a novelty for novelty’s sake, skip it. Go vintage. Especially if it’s something from your family. It can be a powerful way to carry someone’s memory with you (even if it’s just because that person lives far away). It’s also a great conversation starter. While reserved for dressed-up occasions, formalwear is in many ways about restraint. That’s especially applicable when it comes to what’s on your wrist. You likely already have a bit of bling, either from cufflinks or shirt studs, or just from looking dapper in your tux. Resist the urge to pile on more by wearing a showy watch. Take a page out of Old Hollywood by wearing something thin and understated, perhaps vintage, preferably the same metal as your cufflinks. Frankly, the area around your lapels will look a little bare if you omit an accessory. Indeed, we would argue that certain formal occasions require you to wear something there. As for how to proceed, that’s what we’re here for. 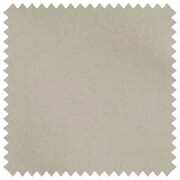 ...go with a white pocket square in silk or linen. 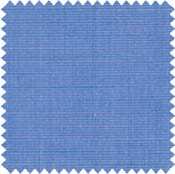 ...stick with something conservative (something in a solid color, or with a very subtle pattern such as a plaid) that complements your overall look—again, in silk or linen. … then consider this permission to express yourself. Just remember: Matching your pocket square to your tie is the mark of an amateur. And if you wanted to be an amateur, you wouldn’t be reading this, would you? While some online forums host strong opinions on the relative formality of these materials, we find that it rarely comes up IRL. 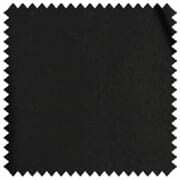 Silk is certainly timeless, and its sheen tends to match the vibe of a proper tux. 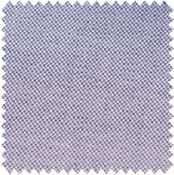 That said, a fine linen is equally luxurious, and can be just as appropriate in almost any situation. Attaching a flower to your lapel is a certain way to elevate any occasion, adding a bit of natural beauty to your overall ensemble. 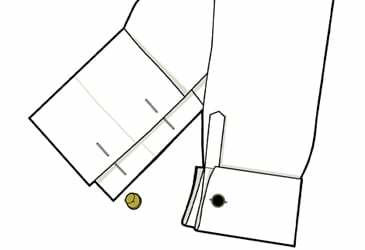 Ideally, you would tuck it into the buttonhole on your lapel, but many modern jackets omit the buttonhole for cost-saving purposes, in which case you will need to pin it. (A florist can help you with this.) And while you can certainly go with a faux flower here, a real one ensures you’ll have something charming to hand any beguiling strangers you encounter during the course of your occasion. For formal occasions, a white carnation or rose will pair nicely with your tux. 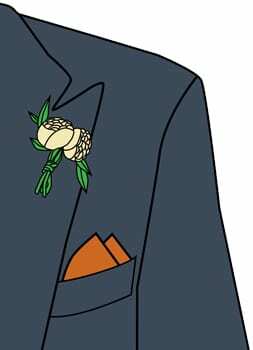 As for pairing nicely with your pocket square, we’ll simply say that you can, but a boutonniere can take the place of a pocket square, and it’s often best to keep it simple. Finally, we get to the bottom of things (literally). 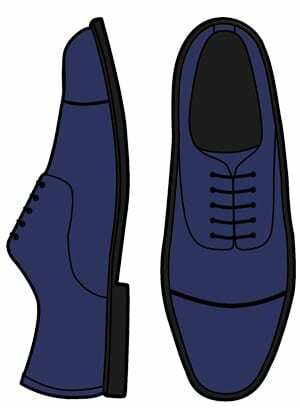 The right footwear is the finishing touch on any formal ensemble, and should be given as much care as you devoted to what’s above the ankles. That approach applies to price as well. Shoes can run you anywhere from $100 to $1,200 and up—we recommend buying shoes in the same price category as your suit. Meaning, if you’ve made budget choices up to this point, you should do so here. If you’ve already splurged, keep the faucet on—nothing ruins a nice suit like cheap shoes. Let’s tie things up with a few suggestions and rules. Definition: A leather shoe with laces and no other lines on the upper (top). Formality: The absolute highest. 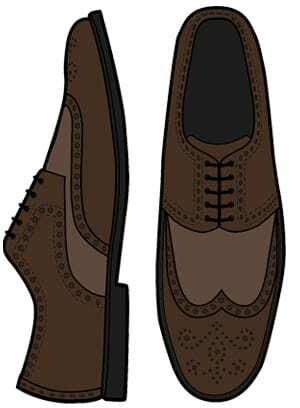 Definition: The same as an oxford, but with a seam separating the toe from the rest of the shoe. Formality: High. 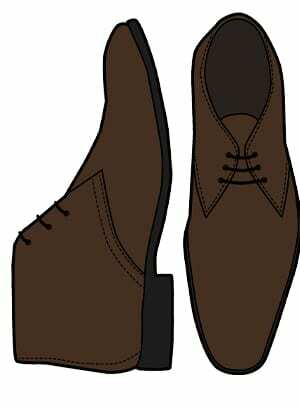 Definition: A cap toe, but with a “w” shaped pattern instead of a straight line. Typically features some brogueing as well. Formality: Medium. 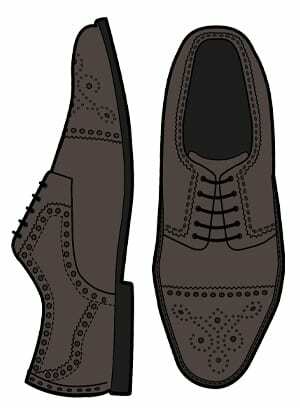 Definition: A cap toe, but with a perforated pattern on the toe. Fun fact: Broguing was originally used by the Scottish and the Irish as a way to keep water from gathering in their shoes. Formality: Medium to high. 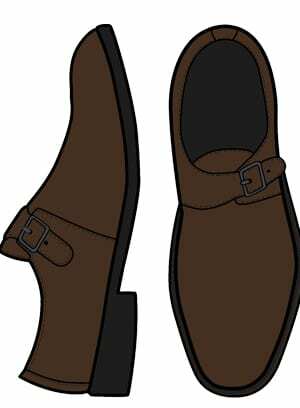 Definition: A slip-on leather shoe with, yep, a strap that you fasten to tighten the shoe—two straps in the case of double monks. So named for the monks who favored them dating back to the 15th Century. Formality: Medium. Definition: Similar to an oxford, but the bottom of the lacing section is left open (rather than sewn shut). Technically, the upper of a blucher is made with one piece of leather, while a derby is made from several, but the terms are often used interchangeably, and we’re not sticklers around here. 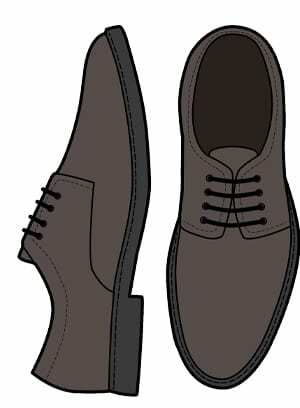 Formality: Low (in suede) to medium (in leather). Definition: Slip-on leather shoes. 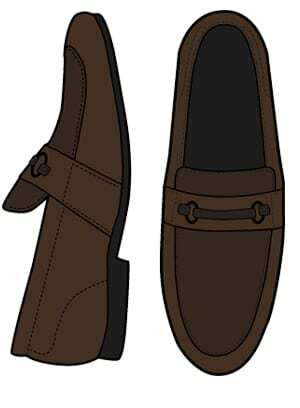 Comes in a wide variety of styles, including the penny loafer (known for its distinct slit, where one could—and in the ‘50s, did—store a penny); the horsebit loafer (known for the equestrian metallic strap across the front); the tassel loafer (identifiable by its namesake tassel at the tongue); and the kilted loafer, which features a leather flap hanging over the front. Formality: Low, no matter the shape or details. Pairs well with: Brown, navy (in less formal occasions). 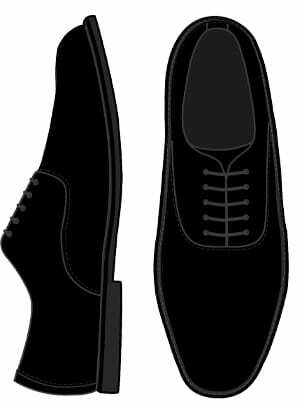 Formality: Low, relative to black. Pairs well with: Summer, particularly if they’re white or navy. Formality: Low. You might have read somewhere that a tuxedo should only be worn with patent leather shoes—you know, the super-shiny ones. If you want a very traditional look, then yes, that is correct. But in case that’s not practical (and so long as it’s not, say, a royal dinner), you can go with a freshly polished pair of black dress shoes. According to our highly sophisticated analysis, 90% of the time you should match your socks to your trousers, as this will extend the leg and avoid a gratuitous distraction. That said, if the occasion permits even a little bit of playfulness, you can accent your socks with anything from a whimsical design to, yes, brighter colors. Less is certainly more in such a scenario, and certain colors—from regal purple to a rich burgundy—will play nicer than others. Feeling extra bold in the warmer months? Try a no-show sock, which hides beneath your shoe while your ankle is exposed. Black tie makes you look like James Bond--but, as 007 knows only too well, even tiny mistakes can be deadly. Time to learn the rules of black tie.